CLEVELAND – A cinematic odyssey through nature and commerce, THE FRUIT HUNTERS will change not only the way we look at what we eat but how we view our relationship to the natural world. In this film, “fruit detectives” from around the world search out exotic varietals and develop new ways to cultivate sustainable harvests, while movie star Bill Pullman’s fruit obsession leads him on a crusade to create a community orchard in the Hollywood Hills. THE FRUIT HUNTERS will screen in Cleveland at Cedar Lee Theatre on Thursday, May 16 at 7:00 PM and Saturday, May 18 at 11:00 AM. The theatrical release of THE FRUIT HUNTERS in 15 U.S. markets (including Los Angeles and New York) during the week of May 13 is the fourth film in Cinedigm’s (NASDAQ: CIDM) new DOCURAMA multi-platform film brand and inaugural series of national theatrical screening events (http://www.docuramafest.com). The DOCURAMA film series is attracting national attention for its unique series that is bringing 7 award-winning documentary films in 7 weeks, from April 22 through June 16. Synopsis: You can find them deep in the jungles of Borneo, in the hills of Umbria and perhaps even in your own backyard. They are fruit hunters, the subjects of the dizzying new film from acclaimed director Yung Chang (Up the Yangtze, China Heavyweight). 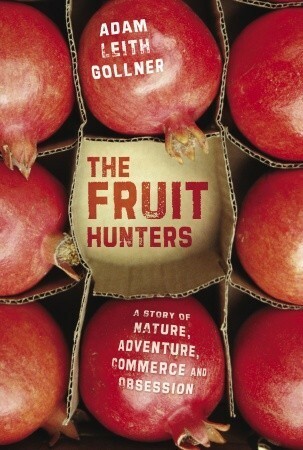 THE FRUIT HUNTERS travels across culture, history and geography to show how intertwined we are with the fruits we eat. The ranks of the fruit-obsessed include adventurers, scientists, fruit detectives and even movie star Bill Pullman, fruit hunters dedicating themselves to searching for and saving rare and exotic fruit, and to creating a Garden of Eden in a world increasingly dominated by industrialized monoculture. 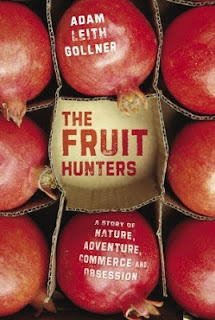 The film is inspired by Adam Leith Gollner's bestselling book The Fruit Hunters: A Story of Nature, Adventure, Commerce, and Obsession, which is releasing in a new paperback edition on June 11. In partnership with GE FOCUS FORWARD-Short Films, Big Ideas, a curatorial program inspired by GE’s vision of innovative people being the catalyst for world change, DOCURAMA will present a 3-minute short documentary with each feature film that has a complementary theme or subject matter. MUSHROOM MAN, from filmmaker Leslie Iwerks, will be shown before every screening of THE FRUIT HUNTERS. Paul Stamets believes we have entered into the 6th major extinction on our planet. He presents mushrooms as a solution to this problem, including cleaning polluted soil, creating new insecticides, treating smallpox and maybe even the flu. Every screening of THE FRUIT HUNTERS will be followed by a pre-taped Q&A with the director.